UN Women (UNW), grounded in the vision of equality enshrined in the Charter of the United Nations, works for the elimination of discrimination against women and girls; the empowerment of women; and the achievement of equality between women and men as partners and beneficiaries of development, human rights, humanitarian action and peace and security. Placing women's rights at the centre of all its efforts, the UN Women leads and coordinates United Nations system efforts to ensure that commitments on gender equality are translated into action throughout the world. It provides strong and coherent leadership in support of Member States' priorities and efforts while building effective partnerships with civil society and other relevant actors. The UN Women Tanzania Country Programme is part of the United Nations Delivering as One and included as part of the UN Development Assistance Programme, (UNDAP) II (2016-2021) Outcome area 'The economy is increasingly transformed for greater pro-poor inclusiveness, competitiveness and improved opportunities for decent and productive employment', the UN Women Tanzania, Country Strategic Framework 2017 - 2021; the UN joint Programme for Kigoma Region 2017-2021 on Women and Youth Economic Empowerment, CEDAW and other international and regional commitments. UN Women is supporting the Ministry of Industry, Trade and Investments (MITI) to conduct an assessment of the implementation of the Small and Medium Enterprise (SME) Policy (2003) to inform the formulation of the new SME Policy. This assessment will focus on women, young women and women living with disabilities. Review interventions and implementation of the SME Policy of 2003 at the local level to identify good practices and to identify areas where the SME policy needs to be strengthened. This will be done through discussions with the LGAs in the selected districts and will focus particularly on interventions that target the key populations. UN Women is therefore recruiting a national consultant to lead the process and analysis for the assessment. The consultant will be a senior specialist and will have an overall responsibility to lead the consultancy, to produce reports, and to liaise with UN Women and the MITI. He/She will also have the overall responsibility of executing the consultancy with regard to the immediate objectives and activities above including producing reports against these specific objectives. The consultant will in collaboration with and will be support by a technical team from the Ministry and UN Women. Lead the process and analysis for the implementation of the SME policy with respect to women, youth and PWLD. Finalize report with inputs from validation meeting. Education: PhD in Economics, Entrepreneurship, Gender, Development Studies, Public Policy or other related disciplines. 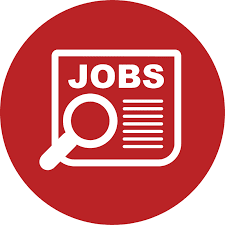 Experience: The consultant must demonstrate 10 years work experience in economics and entrepreneurship and 2 years in gender equality and women's empowerment. Significant experience in programme evaluation and assessments of implementation, and applying gender mainstreaming to policy and programme design and implementation. Experience working with the Government of Tanzania will be added advantage. Financial proposal indicating daily rate.The consultant will indicate the lump sum and breakdown, including per diem when in-country, to be paid in the financial proposal. 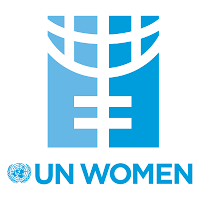 : UN Women is an equal opportunity Employer. Qualified women and men are encouraged to apply. Only short-listed candidates will be contacted. Click the button below to visit the original announcement on the recruiting organization's website.